It’s Friday, Florida State fans. As your weekend nears, keep it here for the latest in FSU athletics. The news and notes section of this post may be updated throughout the day. Entering Thursday night at the Donald L. Tucker Center, No. 9 NC State had just one loss. 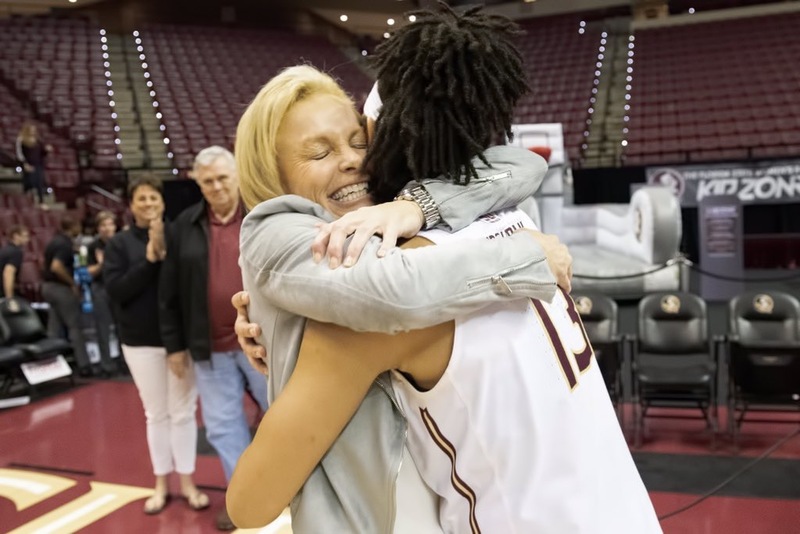 Florida State women’s hoops made sure that number was doubled when it left as the Seminoles pulled out a 75-70 victory. FSU trailed 15-4 early and 65-62 with three minutes to go before closing the game on a 13-4 run to take home the victory. Nausia Woolfolk led FSU with 22 points while Nicki Ekhomu chipped in with 20. NC State held a 44-30 advantage on the glass. Kiara Leslie and D.D. Rogers each finished with 11 points for the Wolfpack. Rogers grabbed a game-high 17 rebounds. With the win, FSU improved to 20-3 and 8-2 in ACC play. The Seminoles will travel to face defending national champion Notre Dame on Sunday. FSU’s women’s basketball victory was the only scheduled athletic event for Thursday. FSU softball opens the season against UNC-Wilmington and Iowa State in the JoAnne Graf Classic on Friday. FSU men’s tennis hosts Auburn at 5:30 p.m. EST on ACC Network Extra. FSU track and field participates in events at Boston University, Clemson and Arkansas. FSU baseball’s Drew Parrish and Drew Mendoza each made the Golden Spikes Award watch list. FSU baseball was picked to finish second in the ACC Atlantic behind Louisville.